Another God steps into the fray to decide which deity is the most revered. 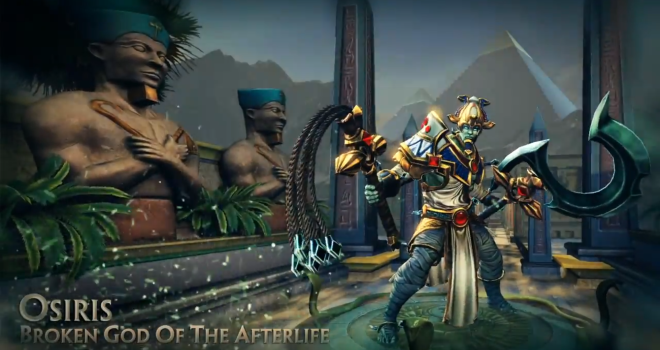 Check out how the lord of the afterlife does his thing in Smite. This Smite God reveal shows that Osiris is a high damage dealer with the ability to come back from the dead with bonus buffs. He can easily hold his own when outnumbered. His sickle strike/spirit flail combo seems to be the move of choice whether for dealing damage or for finishing your foes. Smite is a free-to-play MOBA, so be sure to download it from their website to try it out yourself.